We live in world increasingly shaped by risk, a fact underscored by recent events in the financial markets, science and technology, environmental policy and biosecurity, law enforcement and criminal justice. Risk assessment has become a central concern of governments, organisations and the professions, and the communication of risk is a crucial part of professional work. Exploring how risk is discursively constructed across these domains is therefore central to our understanding of how professional practice affects people's lives. 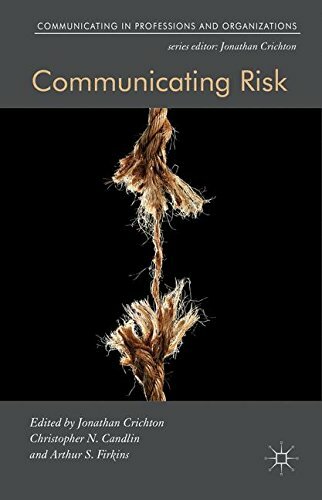 Communicating Risk takes up this challenge, with contributions from leading researchers and practitioners that examine key issues of risk communication across diverse professional domains. View More In Financial Risk Management.